Roadside stands are popping up everywhere and the markets are flooded with juicy, luscious and sweet peaches. Grab a yummy peach to eat and save a few bites for this face mask. If you feel that your face is looking a bit dull and dry due to the harsh summer weather. Simply grab a super yummy peach and pull out a few ingredients in your own kitchen. 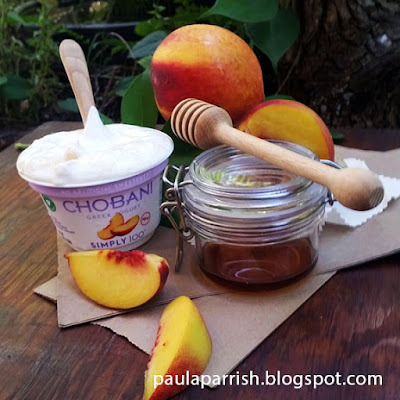 Mix up this face mask which includes mashed peach, greek yogurt, and honey. This simple combination works like magic. The lactic acid in the yogurt is awesome for your skin. Helps moisturizes the skin and kills bacteria. 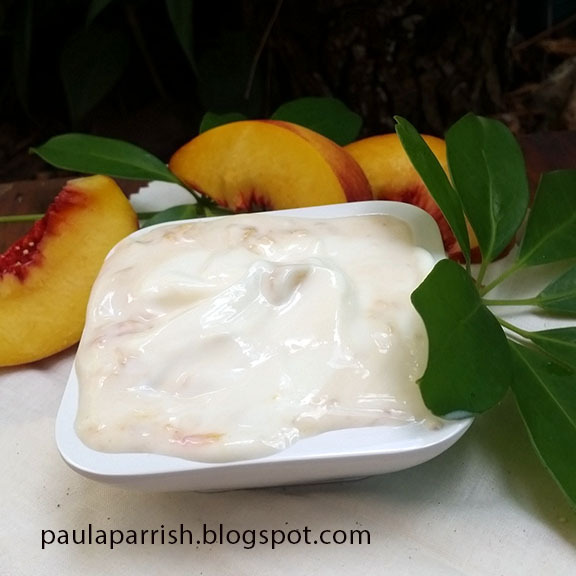 Peaches are a rich source of vitamins, minerals and antioxidant to feed your skin. This DIY mask is sure to gently slough off old skin cells and reveal fresh glowing skin. Mix this amazing concoction together for fresh and glowing skin. 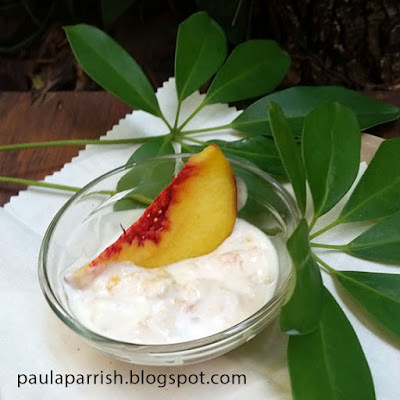 Cut a section of peach, peel and mash. Mix in honey and yogurt. If ya get hungry take a bite for a yummy healthy snack. Tap on this yummy mixture on your face with your fingertips. Gently massage in a circular motion. 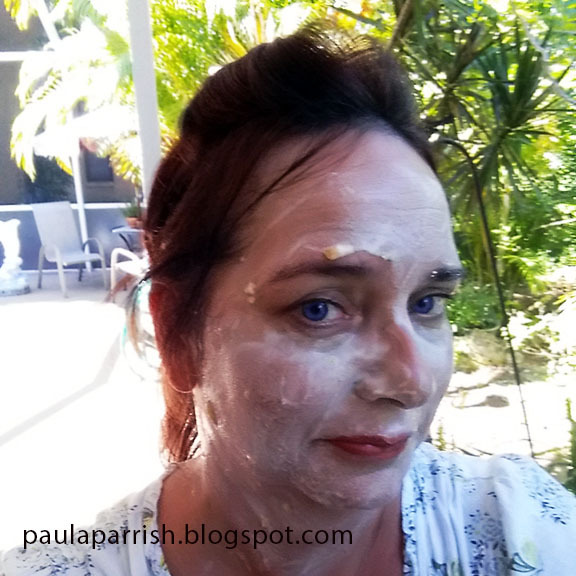 Relax and let the mask nourish your skin for 15 minutes. Rinse with soft cloth and warm water. 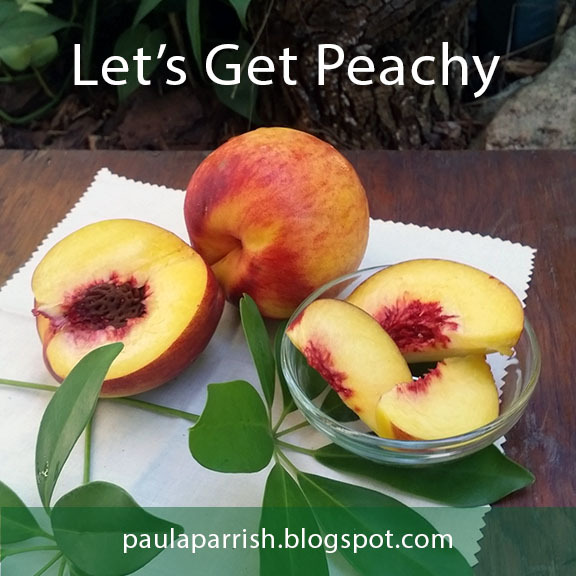 I hope you enjoy “Getting Peachy”. I might eat it before I got it all on!